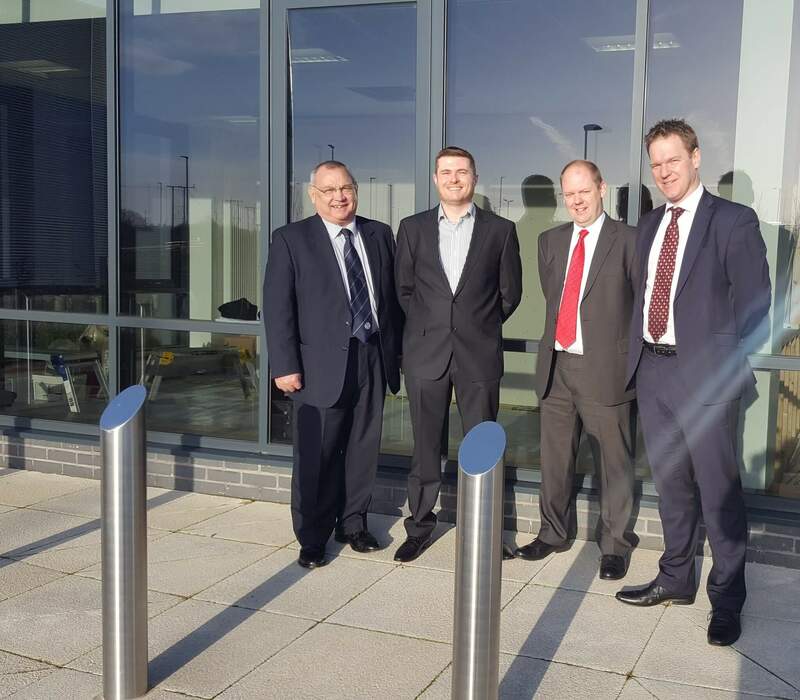 Swedish owned company Talurit UK Ltd has become the first tenant at the R-evolution @ Gateway 36 development, after completing a long-term lease of circa 30,000 ft2 manufacturing facility. Talurit UK Ltd, part of the Talurit Group, is a privately owned company built-up on a patented solution for mechanical splicing of wire ropes. The group has representation in most industrialised countries worldwide. In recent years the UK arm has enjoyed substantial growth and this success led to board approval for Neil Cooke, managing director of Talurit UK Ltd to deliver an ambitious project to develop the new XONA product lines. Neil Cooke, Managing Director Talurit (UK) Ltd, said: “Very quickly XONA doubled our sales order output. We increased our staffing level accordingly which complimented our current skilled and dedicated workforce, but we outgrew our building resource within six months and this became very problematic. With further product developments actioned we had to act quickly. I approached Enterprising Barnsley and they suggested that we take a unit at R-evolution @ Gateway 36, the new industrial business park. R-evolution @ Gateway 36 is circa 65,000 ft2 high quality mixed use development supported by Barnsley Council’s Property Investment Fund (PIF) next to Junction 36 of the M1. The council established its Property Investment Fund to encourage new speculative commercial developments to accommodate expanding local businesses and inward investing companies. Photo: From left to right, Cllr Roy Miller Cabinet Spokesperson for Place, Neil Cooke Managing Director Talurit (UK) Ltd, Tim Hartley Head of Asset Management, Barnsley Council and Matthew Gladstone Executive Director for Place at Barnsley Council.